I'm not surprised to find myself posting more about this duo, when they've been recently nominated for this year's Mercury Music Prize, one of the most important awards in English music. 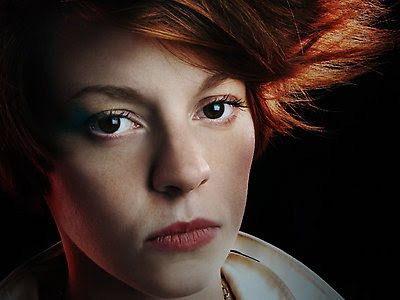 La Roux is an English electro pop duo formed by Elly Jackson (singer and synth player), and Ben Langmaid (co producer and co writer). Together, with the inspiration of bands like Yazoo, Prince and Depeche Mode, they released an amazing self titled debut album on this year's June. You may want to keep an eye on them from now on, I totally will; I leave you with some great remixes of their songs, give them a listen.